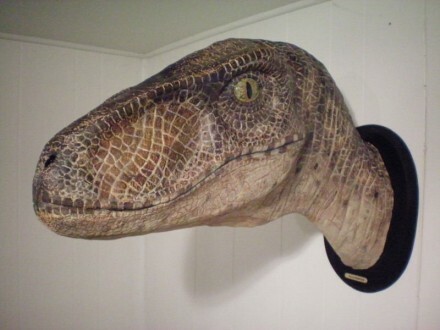 I could mount this Velociraptor head from Jurassic Park on my wall... imagine the conversation starter it would be. "Oh! I see you noticed my catch while I was on safari. Just wait till you hear the story of how we spent 3 days in the jungle hunting each other until I got the upper hand." Yea I think it would go something like that. Of course in order to pull it off properly I would need to get a Predator head and an Aliens head to go next to them.